The list of headlines is exceptionally long this week. To use a Trumpian superlative, it’s the longest headline list in the history of GraniteWord.com — and Time magazine. (And the president’s poll numbers are better than Lincoln’s were.) With Donald’s European holiday and accompanying reprehensible behavior — which descended below even the usual Trump low bar — there was a lot to track in the past seven days. Some pundits, scholars, and intellectual elites are speculating that Mr. Trump’s increasingly errant conduct is a function of the Special Counsel walls closing in. Who’s your puppet (and your daddy)? The world — including United States Democrats, Republicans, and anyone else who has at least a passing concern about government — was flabbergasted by Donald Trump’s blatant, obsequious pandering to Russian President Vladimir Putin at their July 16 post-summit joint press conference in Helsinki. By almost all accounts, Trump looked weak and timid next to the Russian strongman. Many on both sides of the aisle in Congress believed Trump was exuding the suspicious — some might say hinky — air of a person compromised by Putin, of someone beholden to an enemy of America for some unknown reason. The Hinky in Helsinki was the disastrous culmination of President Trump’s latest European vacation. It began with a NATO summit that was supposed to be a sort of renewal of marital vows. It was supposed to be Donald declaring in front of friends and family and the world, “After 69 years of wedded bliss, and all that we’ve been through together, I’d do it again. I wouldn’t change a thing.” Then the guests would applaud. Instead, Trump publicly berated his 28 NATO spouses for their apparent inability to pull their own financial weight and for taking advantage of him in the marriage. He humiliated his German wife for her profligate spending, buying “50, 60, or even I’ve heard numbers of 70 percent of their energy” from Russia, though the actual percentage is 8 or 9. He accused her of being “totally controlled by Russia.” Donald hinted that he might divorce his 28 mates if they don’t start paying more of the family bills. “NATO’s European leaders were left reeling after one of the most divisive summits in the organization’s 69-year history, at which Donald Trump set a January deadline for them to increase defense spending and hinted that the U.S. might quit the alliance if they failed to meet it. While other NATO members treated his warnings as a bluff, they left the Brussels summit stunned at the end of two days of mayhem, almost all of it orchestrated by Trump. Then it was on to London — to insult and abuse his British NATO wife individually. He arrived while Prime Minister Theresa May was in the midst of trying to negotiate her country’s messy divorce from the European Union, to see who gets the kids and the dog. (British citizens chose to leave the EU in a 2016 vote aka Brexit.) May wants Britain to maintain some sort of civil relationship with its former partner. After all, they had many good years together, and they did once love each other. Donald prefers going in for the kill, past relationship be damned — just like in his marital dissolutions. President Trump supports a hard Brexit: no immigration, no trade deals, no nothin’. A total break. [FUN FACT]: Vladimir Putin also supports a hard Brexit (not to mention the breakup of the entire EU). In fact, evidence has surfaced this week of likely Russian interference in the original 2016 British referendum, to help the “Leave” campaign defeat the “Stay” vote. [RELATED FUN FACT]: Donald Trump carries serious water for Vladimir Putin. We don’t yet know why. Theresa May is angling for a soft Brexit, one that will maintain some of the agreements and business relationships Britain enjoyed under EU membership. She is also struggling to maintain support for her leadership. In Britain’s parliamentary system, the prime minister can be forced out if she loses the confidence of her party. Media outlets later reported what our president’s Brexit advice was to Prime Minister Theresa May (which she didn’t take): sue the European Union. Is that classic Trump or what? Then it was on to Helsinki, back to where this story began. Presidents Trump and Putin began their summit with a two-hour-plus private meeting — just the principals and each man’s interpreter (and the hidden Russian microphones). The next day, Russian diplomats and military officials were publicly expressing their desire to get on with the global security agreements made in secret between Don and Vlad. Global security agreements!? Three days later, still no one in the White House, the U.S. military, nor our intelligence community knew what was said in that meeting. 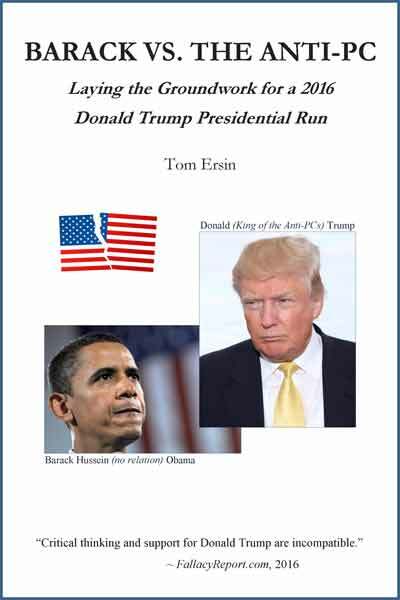 “President Trump handed Russian President Vladimir Putin an unalloyed diplomatic triumph during their summit here Monday as he refused to support the collective conclusion of U.S. intelligence agencies that Russia had interfered in the 2016 U.S. presidential election. Trump’s warm rhetorical embrace of Putin, who he said had given him an ‘extremely strong and powerful’ denial that Russia assaulted U.S. democracy, … sparked trepidation and horror among many in Washington and around the globe. This was a damn CIA director, not someone normally prone to hyperbole. In fact, many thoughtful, non-hyperbolic diplomatic and military experts floated the word treasonous for the first time. Many of these were Republicans, not just independents like Brennan. I know, I know: treason technically involves only traitorous behavior during time of war. But we all heard what these speakers were getting at. Moreover, some experts believe we are involved in war — cyberwar — with the Russian Federation. So, there. At minimum, Trump’s press conference statements have caused many serious people to consider the strong possibility that Putin has somehow compromised the president of the United States. This includes many Republican and independent leaders and pundits who heretofore had dismissed that idea out of hand. Our (arguably) most dangerous global adversary literally attacked our country in 2016, to alter the outcome of our presidential election. 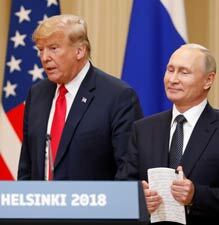 President Trump, on the world stage, standing next to the kleptocratic, murdering dictator who ordered that attack, believed Putin’s denials over the universally accepted determinations of all U.S. intelligence organizations. Why would he do that? Even Fox News was shocked that Donald, once again, in the double-down phase, contrary to all of his own U.S. intelligence agencies, declared that the Russians are not currently trying to influence our elections. The president has Trump Derangement Syndrome backwards: It’s the leader of the free world who has it.